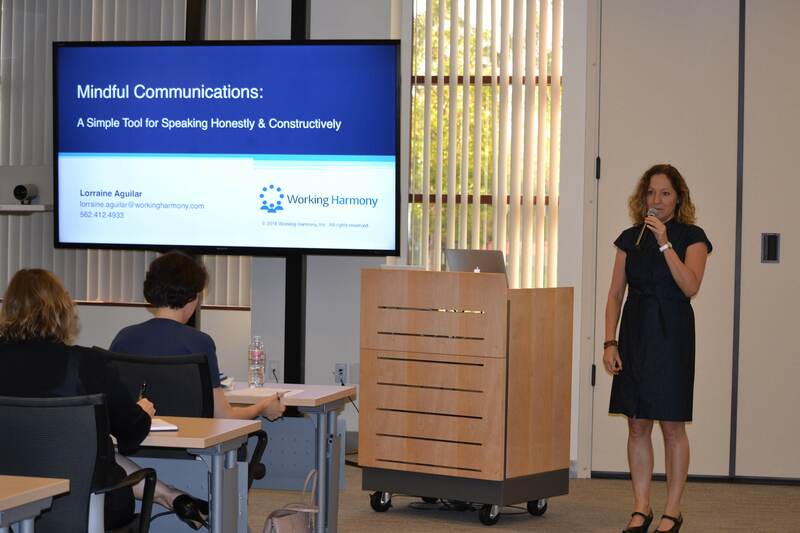 Lorraine Aguilar of Working Harmony spoke to a packed house at Cisco on June 6th, sharing both personal stories and professional insights on practicing Mindful Communications in the Workplace. 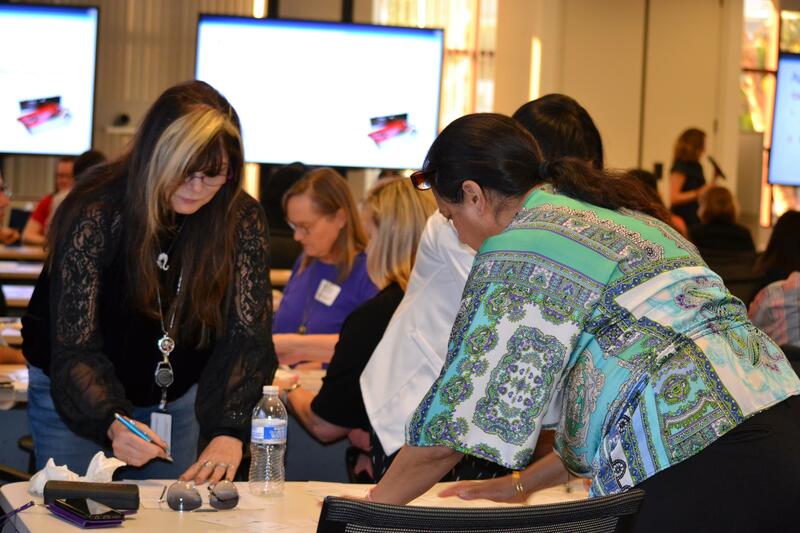 This highly relevant and interactive experience provided AWT members and guests with some knowledge and an exercise to help improve communications and collaboration in the workplace. 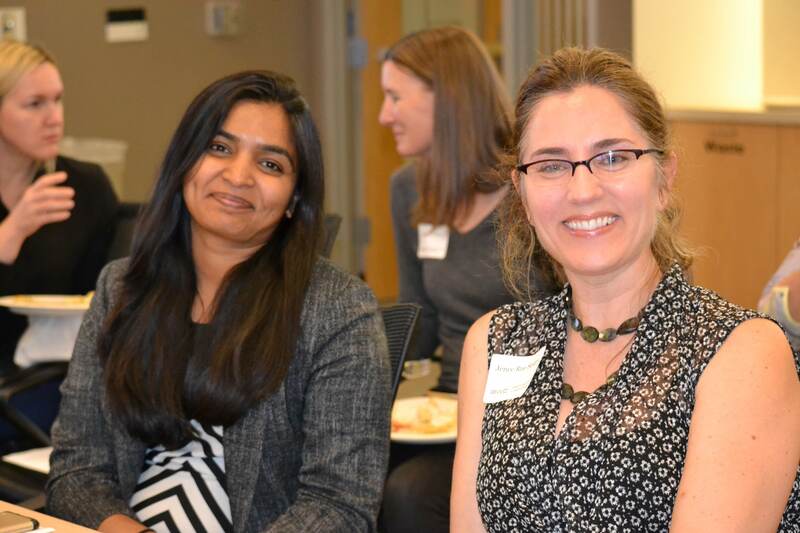 Lorraine shared how “mindful communication” is considered a mindfulness practice because we focus on the quality of both our attention and intention more than the words we say. Using an iceberg graphic to show the relationship between behaviors and needs, she explained how underlying needs drive behaviors. 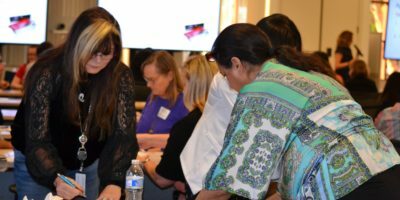 With graphics, audience participation and break out discussions punctuated with the sound of Lorraine strumming her ukulele, the audience was able to learn and apply mindful communications concepts during Wednesday’s workshop. 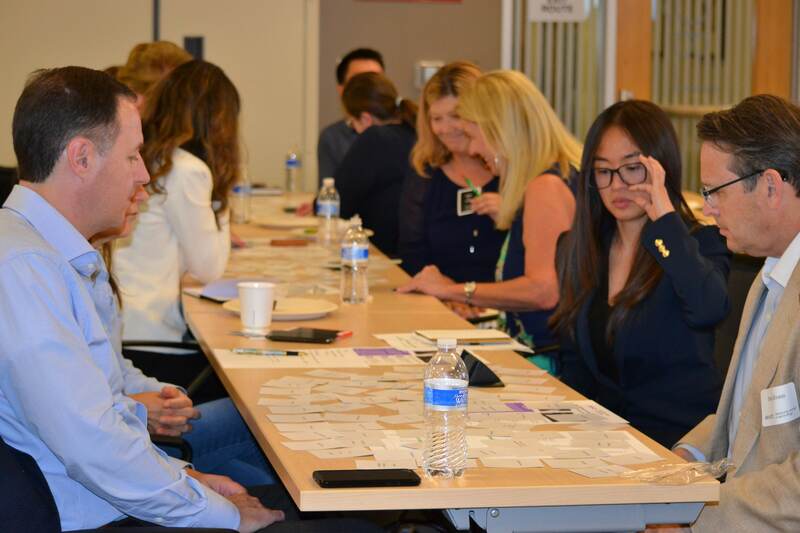 After participants were given an introduction to using an empathy card tool for mindful communications, they were given an opportunity to break into small groups and practice using the tool. 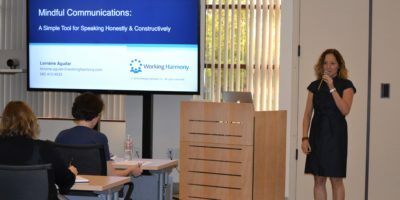 The goal of the workshop was to help make it easy and safe for people to speak honestly and constructively about how to improve team performance for meetings, project debriefs or team-building activities. 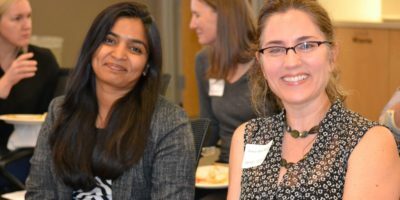 Before and after the presentation, attendees had a chance to network with their peers in technology and other industries. 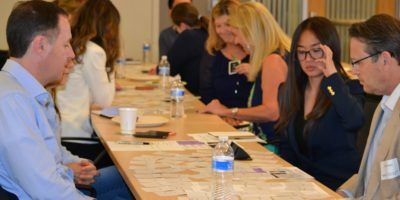 To show the practical takeaways, one of our members reported using the empathy card exercise in a team meeting the very next day.